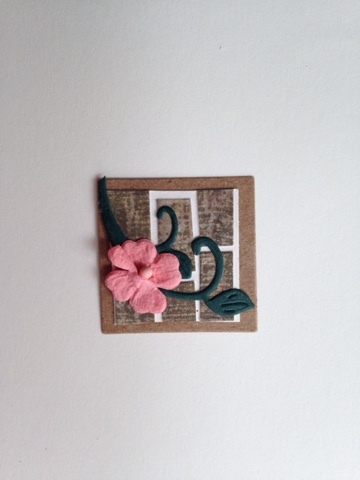 I used a Sizzix embossing folder and patterned paper to create this collage. 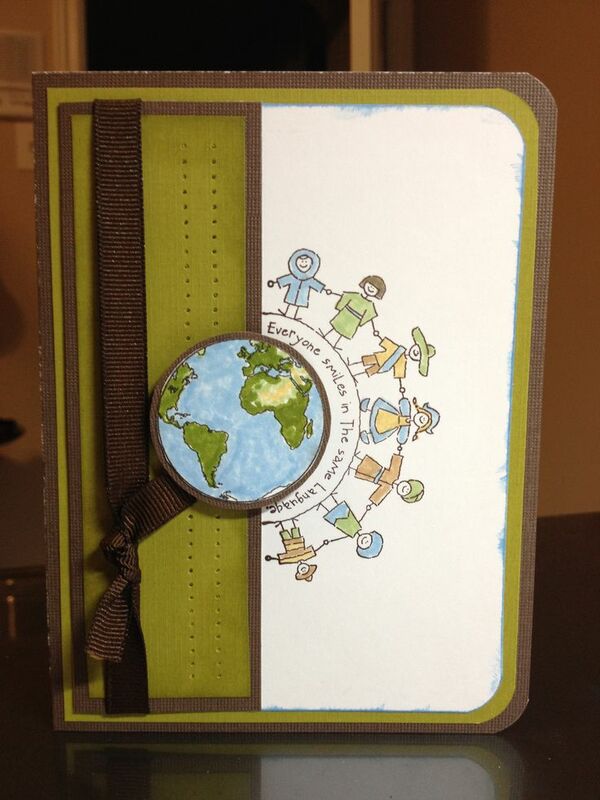 I embellished with a "Back to School" vellum sticker, a chipboard school bus, and textured ribbon. I tried using a crayon resist technique from Simon Says, hmmmm wondering if it was the paper or the way I rubbed the ink etc. in any case I tried a new technique! It actually looks more rust colored, but photographed pinkish. 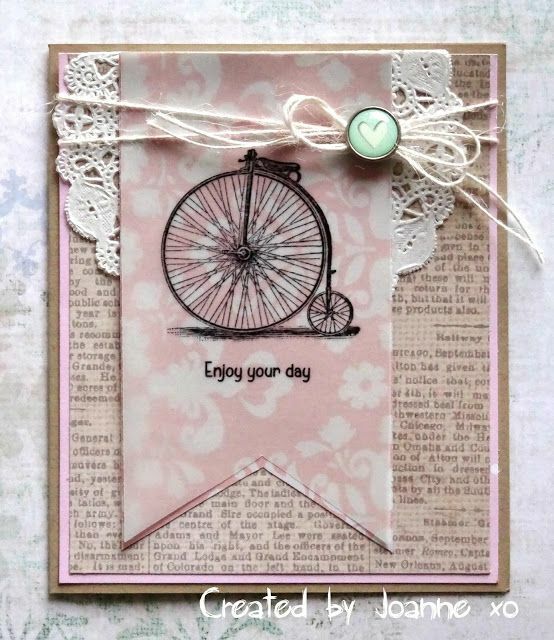 I case'd this card from Pinterest, it states" uploaded by user "which would be Taz Augustine I believe. I like it better colored I think, but I was trying the simplified approach first ~ great saying: "Everyone smiles in the same language". Shopping our Stash Layer it on me! It's rare when I can get four challenges in one card and make it work! I love the sketch and the themes this week. 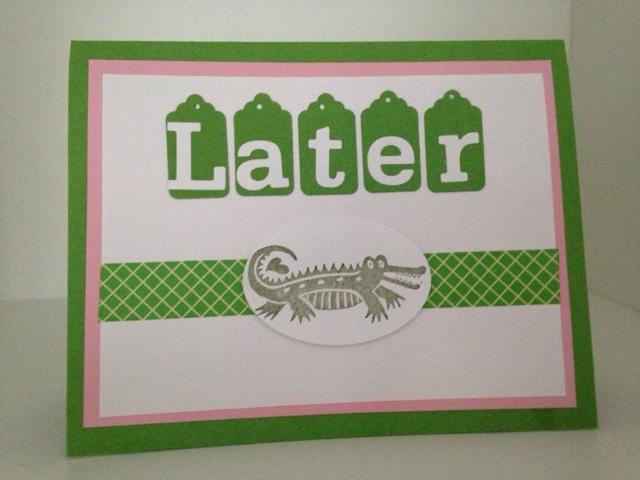 I used an embossing folder for the background and die cut out a green clock face to add as embellishment. 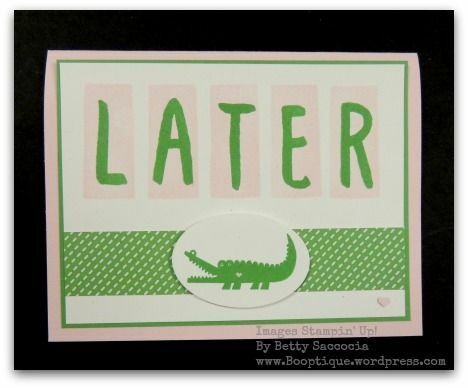 I used five different rubber stamps. The "take time to" was an angel company stamp that I cut the words to separate "smell the roses" making it more versatile. 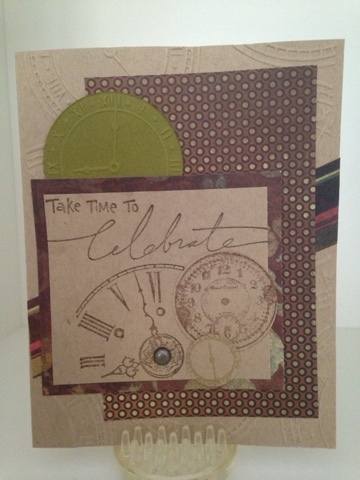 Celebrate is a well used and loved Stampin up sentiment along with the large clock face. The two smaller clock faces are clear stamps (source unknown). The patterned paper is called "Winchester" from The Angel Company. Here is my inchie for this weeks challenge at every inchie monday. 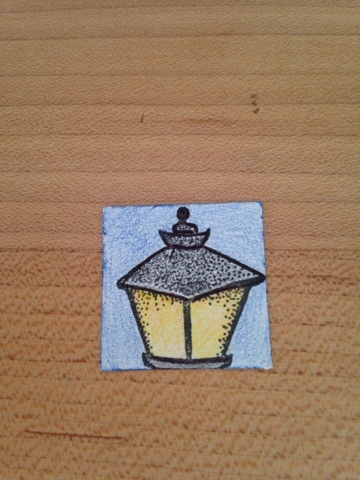 This is the top portion of a street lamp rubber stamp by Stampington and Co. that I colored with colored pencils. Thanks for getting me to create today! I used washi tape, a martha stewart tag punch, and the letter dies are from Papertrey Ink. I'm pleased with my results. I'm not sure who the original artist is, it appears that Jarmila Vik uploaded the image to pinterest. I've decided to challenge myself to see how many cards I can CASE from Pinterest (instead of just pinning them!) 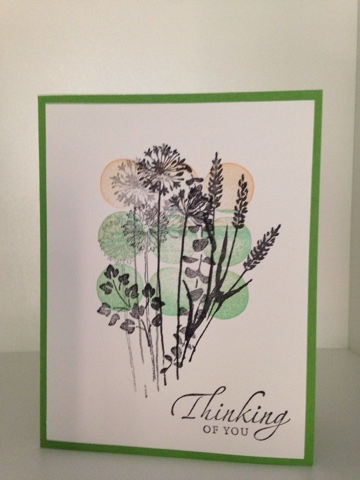 this first card was copied from Joanne I like the softness of the colors and the theme is sweet for a thinking of you/ encouragement card. my bike stamp I believe is Hero arts and the sentiment is from Papertrey Ink. The color throwdown colors for this week made me think of my new stamp set from Stampin Up called "From Land to Sea" and I knew I had to play. 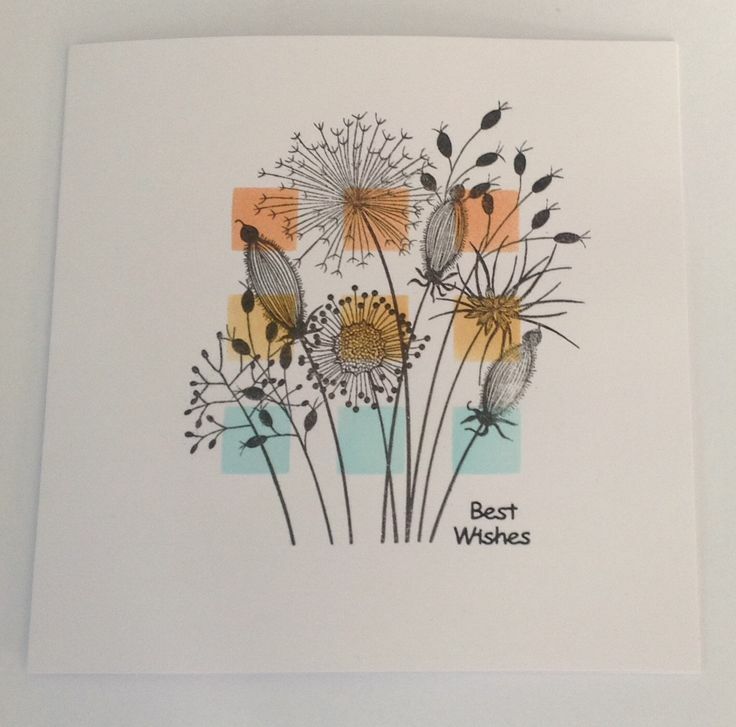 I also used the mosaic madness embossing folder and punch for texture and stamped and embossed "Happy Retirement" in silver. The waves are sizzix dies. I bought this stamp set (hero arts?) just for the scooter stamp so I could make a card for my nephew Kyle. I pictured using the scooter as the number 1 and stenciling the number 5 to represent his 15th birthday. 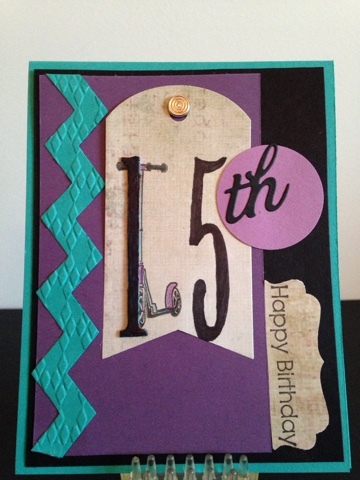 When I saw the challenge on Cardz 4 Guys this week being a numbered birthday I knew it was time to get crafting! When I stamped the scooter next to the 5, it looked like his 5th birthday...not good! so I added a chip board #1 along side the scooter...not 100% sure you can tell what it is, but I gave it my best shot, and that's what a handmade card is all about! I love nautical challenges! 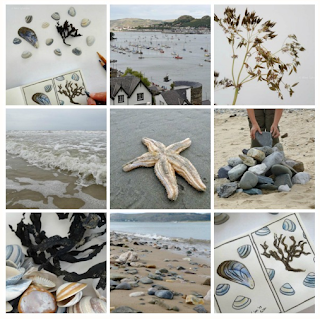 City Crafter's mood board got me digging in my beach stash to make this inchie style greeting. The inspiration photo: I like my creation better then it photographed I have blues and grays and kraft brown colors along with textures, real shells and metal embellishments. I left it blank so it could be used for any occasion. 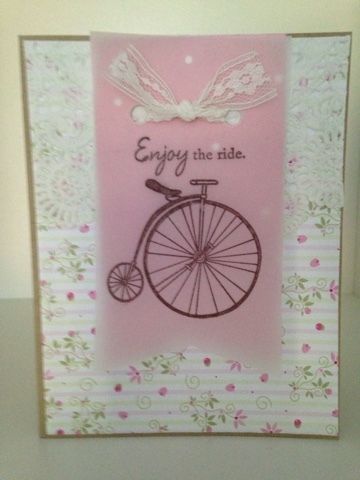 I'm also entering this at Die Cuttin Diva's where the Grid is my die cut of choice this week. 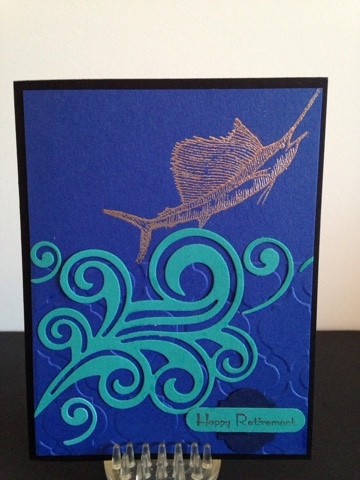 I just bought another pack of Maritime DSP paper from Stampin' Up (it's on clearance this week and I love a bargain!) so I thought I would use some for the sketch challenge this week at Mojo Monday # 410. 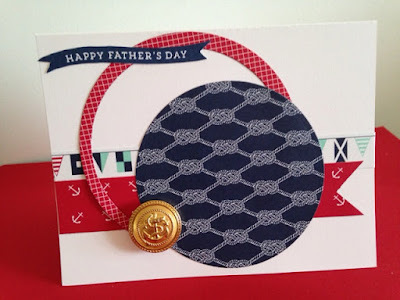 I added a brass nautical button and the sentiment "Happy Father's Day" to complete this nautical greeting. 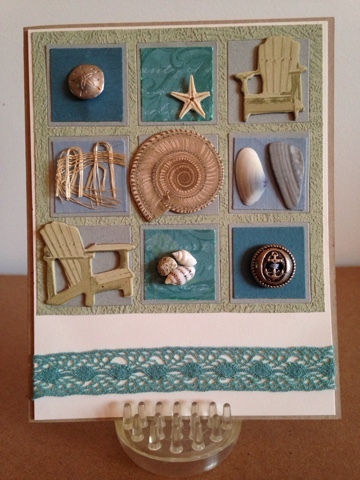 I like the simplicity and versatility of the sketch this week at Atlantic Hearts: I first found the scraps of blue and green and then the background green paper and trim. I decided a boy's card would work and found the soccer ball in my stash. 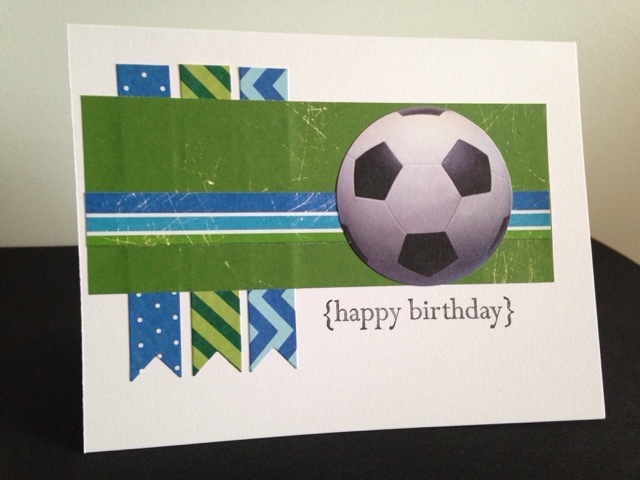 I like the Happy Birthday sentiment being in brackets because it made me think of goal posts. simple and fun. "How am I going to make a wall?" I asked myself, "Cut paper bricks!". I added a vine and a bloom to grow against my stones as well. Thanks for another great challenge at Every Inchie Monday. This week at Simply Less is More 'The Eyes Have it!". The challenge is to focus on eyes. 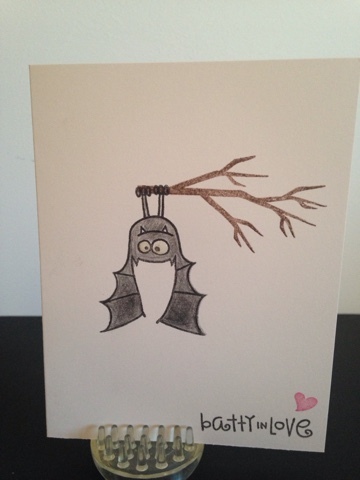 I thought of this bat stamp from paper smooches that I bought and haven't played with yet (imagine that!) I used crystal effects to give his eye some dimension, but it doesn't show in the picture very well. Thanks for getting me to use my stash ladies and challenging me to keep it one layer! 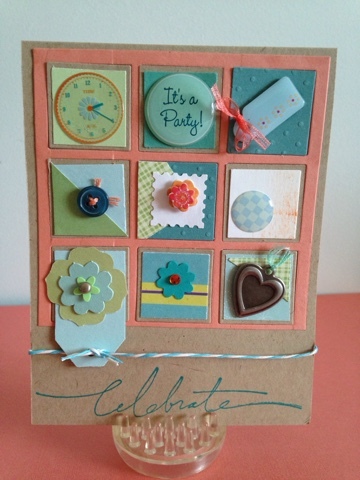 this inchie/grid/quilt style card was creating for the Colorthrowdown challenge #354. 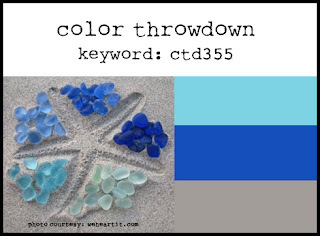 This is a great beach-ie color combination that I don't think I would have put together without this challenge. The colors are described as: aqua blue, light coral, grass green and kraft shades. 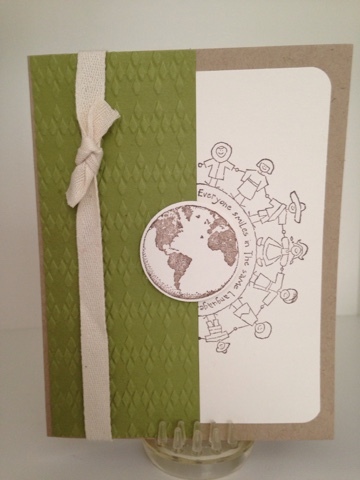 This greeting is perfect for any celebration. 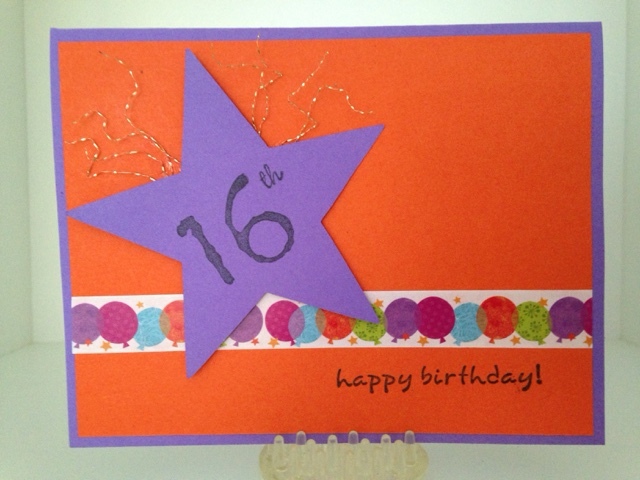 I used die cuts, punches, metal and plastic embellishments, ribbon, thread and twine. This card is also being entered into Cute Card Thursday's one word challenge #385. My word is Celebrate! 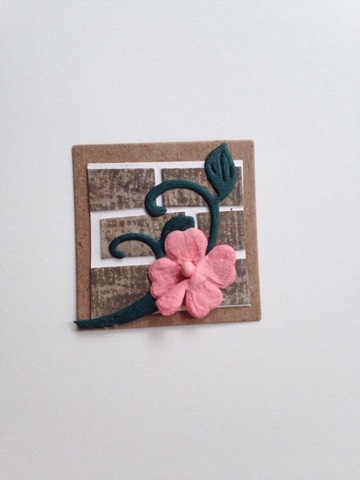 (stampin Up rubber stamp). Here is an inchie style card made for the cut it up challenge : Animals #77. 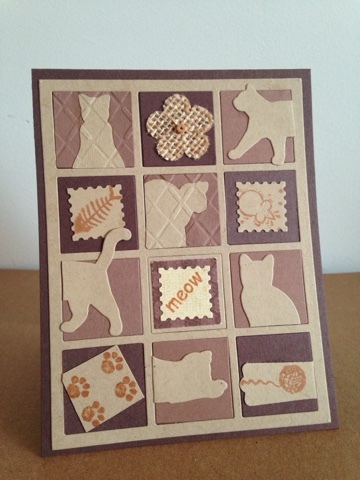 Using the cat die cuts from Papertrey ink along with rubber stamps and paper punches I created this one of a kind feline greeting. Meow!